11lbs rahr 2 row and 1 lb brides caramel 40. I didn't weigh them. I figured northern brewer took care of that? Do you mean the weight or my efficiency? I get 72% with beersmith using your numbers. Did you top off the wort in the fermenter? You can do that if you end up low but remember it will affect your OG and of course your final ABV. Sounds like you had a good brew day but boiling off 2.5 gallons is a lot. You could probably lower you burner. You want a good rolling boil but the wort doesn't have to be jumping out of the pot. Gotcha...if you're pouring wort from your BK to your fermenters you can strain it to maximize your volume. 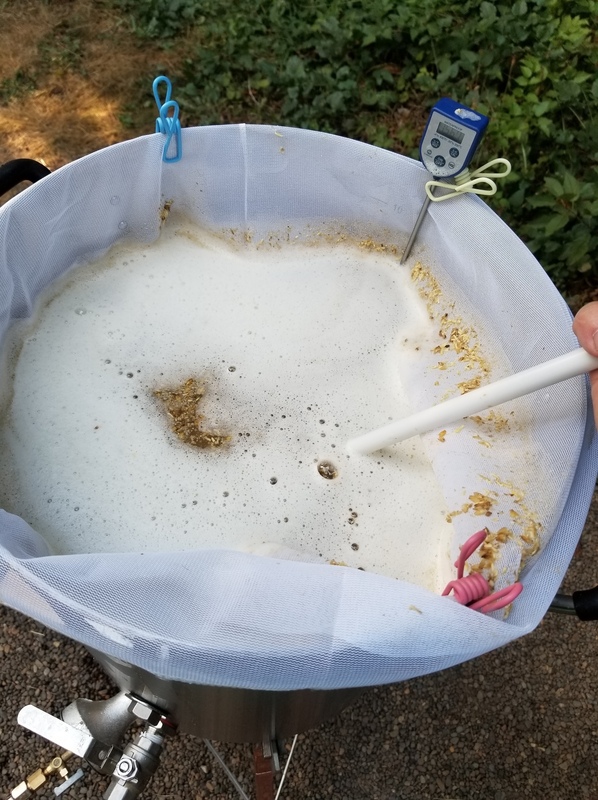 When I did that I used a stainless double strainer and it worked great to get most of the hop debris and some of the trub. You can also use muslin or cheese cloth. Another option is to put your hops in paint strainer bags in the boil. That's what I do now because I pump from the BK to the fermenter. Don't be afraid of a little hot break or trub in the fermenter it won't hurt a thing and some even believe it's beneficial to healthy yeast production. No clue. Never thought about it and at a quick glance I can't find it in the settings or options. Only reason I pay attention to efficiency is for consistency in recipes. I don't think I've looked at the calculation once since I got BS2. One less time in my life I'm forced to use algebra. I'd rather let BS2 calculate it for me and spend the saved algebra time drinking beer. Brad includes potential yield as SG per pound in the Grain table, under Ingredients. Not all grains list the same potential. I sometimes think that each site may be using different PPG for the same type malt. That's been my observation also. I've seen a couple of printable lists that provide a range (so for example, most base malts would have been listed as 35 - 37).